The stars will be bright in Las Vegas tonight as the NHL Awards commence. The show will also be significant due to the unveiling of the roster for the league’s newest franchise, the Vegas Golden Knights. Here are my picks for the 31st NHL team. Right off the bat, we start out with a tough selection. It was long rumored that the Ducks may make Jakob Silfverberg available if they chose to protect a fourth defenseman, but that didn’t happen, and Ducks GM Bob Murray opted for the 7-3-1 protection format. Defenseman Sami Vatanen could be one of those candidates to get selected and then flipped to another team. We know that there is a deal in place with Anaheim though, which should take Vatanen out of play. So I’m going to believe that the Ducks will allow Vegas to take Stoner. While the options aren’t that attractive in the desert, Vegas must take a player from all 30 teams, and Peter Holland is a good depth pick. They could also take the 36-year-old winger Radim Vrbata on a one year deal and try to flip him to a contender later in the year. If a team like say, the Philadelphia Flyers, wants Vegas to select goaltender Malcolm Subban for them and make a trade, that’s an option. Of course, that’s if Vegas doesn’t want Subban for themselves. I see this as an opportunity for McPhee to select his goalie of the future. Surely Marc-Andre Fleury won’t be there forever (assuming he picks him). I’d also keep an eye on Colin Miller, who I’d consider an extremely underrated talent. An offensive defenseman, Miller has a wicked shot and while his defending could use some more work, he could see himself on the powerplay regularly. The former second round pick should be the pick here, after moving to the Sabres in the Ryan Miller trade. Being only 22, he’ll get some time to develop in the minors before making the jump up to the NHL full-time. Chiasson is a player who I’ve had my eyes on for the last couple of years. The 6-3 winger also is a restricted free agent, but should be pretty easy to lock down to a deal. Vegas could opt to take defenseman Brett Kulak here instead, but with a ton of defense out there, I’ll opt for Chiasson. Not too much talent here. Hurricanes GM Ron Francis did a good job protecting the right guys, and Vegas will probably take Stempniak as the best available player from Carolina. There is a rumored side deal with the Blackhawks that’ll see them ship Kruger along with defenseman Trevor Van Riemsdyk to Vegas. I believe those rumors to be true, as the Blackhawks are currently the only NHL team over the salary cap and look to free themselves from some larger contracts. Grigorenko is a restricted free agent, so he’d have to agree to a contract, but he’s only 23 years old and has a lot of upside. The popular pick here has been goaltender Calvin Pickard. Pickard played very well in the IIHF World Championships, but based on how I am building this team, Pickard would see himself in the minors, and wouldn’t be a good pick here. With that said, I’ll take the former second round pick William Karlsson. For me, Dallas was one of the final picks that I made, and so I’m going on the best player available here, and that’s Eakin for me. I will admit, I was more surprised about this non protected player more than any other in the expansion draft. But Detroit had to make a decision, and they picked the 33-year-old Jimmy Howard over 25-year-old Petr Mrazek in goal. The problem for me with this was that had they left Howard unprotected, Vegas almost definitely wouldn’t have taken him. But with Mrazek there instead, it’s definitey intriguing and there’s going to be some debate in Las Vegas on who they should select. McPhee will have some other strong options in net, with Washington’s Philipp Grubauer, Colorado’s Calvin Pickard and New York’s Antti Raanta all available, as well as Boston’s Malcom Subban for the taking. Vegas won’t load up on goalies unless they have deals in place to flip players to other teams. So while I’d like to see Mrazek be the selection, don’t be shocked if they play it safe and select center Riley Sheahan. What’s interesting about this pick is the common assumption that McPhee worked with Reinhart, who is an RFA this summer, during his time in New York. Yes, McPhee was a part of the Islanders organization from September 2015 through July 2016 before being hired by Golden Knights owner Bill Foley to run the Vegas franchise. But Reinhart was actually traded in June 2015 during the NHL Draft. But don’t think that he doesn’t know about the young prospect. Yes, Reinhart failed to crack the Isles top six before being shipped off to Edmonton. And yeah, he’s had a minimal impact in Edmonton. I’d take one last shot on him if I were Vegas. The Panthers left Marchessault unprotected just after he scored 30 goals this season. Vegas should also like the fact that he is making less than $1 million for the upcoming year, and is just 26 years old. At 6-5, McNabb would be a good pick for Vegas and at just 26 years old, I could see him as a player they’d like to keep on their blue line for years to come. While many were quick to put defensemen Matt Dumba in this spot, there must be some debate over this pick with the Vegas brass. Dumba is a good prospect, and am attractive option. But I see this expansion draft deeper on defense than scoring forwards, and so Staal makes sense. Staal was Minnesota’s top goal scorer this season and could find himself as Vegas’ first team captain, after serving the role in Carolina. It’s widely thought that Minnesota will have a trade in place to have Vegas lay off Dumba/Scandella/Staal and take a player such as Erik Haula. But I honestly think that taking a player such as Staal or Dumba would be more valuable than a draft pick (remember, the Wild traded their first round pick for this season. However they do have picks for the coming years, so keep an eye on that) to take Haula. With that said, I’m taking Staal here as the more marketable asset, and if he is picked, Vegas fans will find themselves sporting his jersey on opening night. If the Knights can agree to a deal with UFA Alex Radulov, then they should take the chance on him as he’ll provide an impact, and will take on some salary. Of course, that could come on July 1, and not picking him here could allow Vegas to take two players from the Habs. I believe that their selection here will be Davidson, who represents the youngest Montreal defenseman under contract through next season. If George McPhee has a deal in place with the defending western conference champions, it probably take Neal off the table, and I see Colton Scissons as a possible second choice. But I believe that Vegas sees Neal as a potential threat on their first line. After all, this is a team who have repeatedly said that they want to be good right away, while stocking up for the future at the same time. Neal would fit into that equation, even with his $5 million cap hit. Another young defenseman for Vegas with Merrill being picked here. The Devils don’t want to lose a guy like Merrill, but it doesn’t seem likely that a side deal will be made. 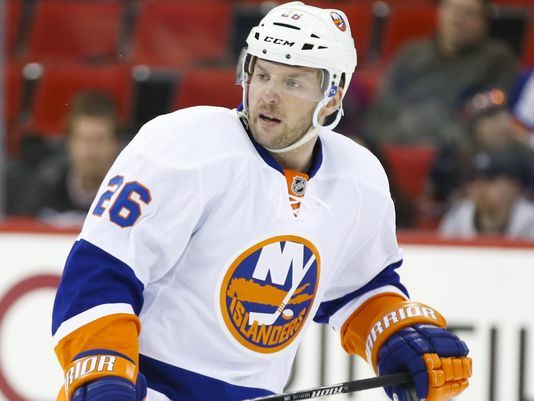 Newsday’s Arthur Staple reported Monday evening that the Islanders have a deal in place with Vegas to send a first round pick and Mikhail Grabovski ($5 million cap hit) to the Golden Knights, in exchange for selecting a designated player chosen by the Isles. I believe that the player is Casey CIzikas, who holds a $3.35 million cap hit. In a move that would free up $8.35 million, the Islanders would create the cap space necessary to go after coveted trade assets such as Matt Duchene, Jordan Eberle, and Alex Galchenyuk. They could always opt to give Vegas defenseman Thomas Hickey ($2.2 million cap hit), but if the Islanders trade defensemen Calvin De Haan, Ryan Pulock, or Travis Hamonic in a trade for a top six forward (or possibly two trades), I’d bet the Islanders would want Hickey at least on their roster. I’m going to stick with my gut and go with Cizikas. Coming off of a career year, Grabner could give the Golden Knights some help up front. This pick could end up being goaltender Antti Raanta, who has proven that he could be a number one goaltender in the NHL. I expect him to factor into the goaltender conversation for the Golden Knights if they pick him instead, or if he’s not flipped to another team first. I’ll take Grabner here though, based on the goalies I’ve already selected. According to TSN’s Pierre LeBrun, Ottawa could not get a deal done before George McPhee’s self imposed midnight trade deadline on Monday. Therefore, I believe that McPhee is taking Methot. Of course, there is interest in Methot, but one of the important statements from McPhee came Monday morning when discussing flipping a player to another team, where he said that if they like the player, they’re keeping him for themselves. I believe that Methot may have been one of those players that he was talking about. Weak would be a good addition as Vegas seeks more young forwards. Wouldn’t be surprised if Michael Raffl is the pick here either. Fleury is the slam dunk, home run pick for Las Vegas, and is sure to be their starting goaltender come opening night, and the first face of the franchise. It also looks that they’d be getting something from Pittsburgh to take Fleury, so not much to debate here. Dillon would be a good pick in this spot, being just 26, and carrying a manageable 3.27 million cap hit. I see this as a deadline deal for Vegas, with them flipping Perron for more picks. He could get flipped right away though. GM Steve Yzerman is looking for a way to hold on to young defensemen Slater Koekkoek and Jake Dotchin. Therefore I am projecting a side deal here with Garrison being the pick for Vegas. Rychel is a good pick for Vegas here because of the upside he has. He could factor as a possible trade chip in the future if it doesn’t work out in Sin City. Boucher flipped around the league this season with New Jersey, Nashville, and Vancouver earlier this season after being claimed on waivers. He has a lot of upside, and so this pick will be more about potential than anything. McPhee could take Philipp Grubauer. McPhee could take Jay Beagle or Brett Connolly. He could even take Kevin Shattenkirk if he can get him to agree to a contract during the exclusive negotiations window. But I have the Capitals going in a different direction and selecting Nate Schmidt, who is one of the best young defensemen available to the Golden Knights. The situation in Washington is interesting because Schmidt got pushed out of the lineup when the Caps traded for Shattenkirk. But Schmidt reminds me of another quick skating defenseman that came up through the system, and made the team. That was John Carlson, and if I’m George McPhee, I’d want that on my team’s blue line. I believe that Toby Enstrom is a candidate for the pick-and-flip for Vegas. With so many teams looking to get a top four defenseman, Vegas could hold the cards, and look to flip him for picks, or for a player that was protected for the expansion draft. With this team that I’ve selected, there are sure to be some trades in place before July 1, as the team with this roster will have to sign some of these players to RFA deals while staying away from the cap. McPhee has said that he sees his team in the fifties when discussing team salary. It should be interesting to see what he has up his sleeve. The puck drops in Los Angeles tonight as the New York Rangers and Los Angeles Kings will battle it out for all the marbles. It should be a great series, as both teams deserve to be there. After missing out on the finals berth last year, the Kings return to hockey’s biggest stage for the second time in three years. At the same time, the Rangers return to the Stanley Cup Finals for the first time since 1994. An interesting matchup to say the least, the series will feature two of the top goalies in the league going head to head. Henrik Lundqvist has stood on his head, making some pretty acrobatic stops these playoffs. If it weren’t for him, the Rangers would probably not be playing in this series. With a 2.03 goals against average, he has carried them the distance and hopes to continue that over the coming games. On the other side of the rink is Jonathan Quick, who will look to capture his second Stanley Cup. He’s had quite the experience in net, and that should help as he has been playing well this playoffs. Defense should be a huge part of this series. The Kings can score in a blink of an eye, and the Rangers…well let’s just say they can thank the opponent’s lack of defense for a handful of their goals during the playoffs. The Rangers shot blocking may be the storyline going into this one. Dan Girardi, Marc Staal and Ryan McDonagh have led the charge on that front. The Rangers did a good job holding down PK Subban, but it’ll be interesting to see how they do with the quicker Jake Muzzin and Drew Doughty. At the end of the day, the Kings are the better team. Don’t think that the Rangers will go down easy though. NHL Trade Deadline is March 5th…Who’s Available? Thomas Vanek- the best player on the market, Vanek can be had for a high-end prospect a mid level prospect and a first round pick. Can Garth Snow get that high a return is the question. Evgeni Nabokov- not mentioned often but with the team out and UFA pending, he could be cheap goalie insurance for somebody. Minnesota? St. Louis? The Rangers are in a tough spot. They are a playoff team with key players approaching UFA status. Ryan Callahan- The team captain is looking for about 47 million over 7 years and the team is offering 30 over 5. Interested teams are rumored to include St. Louis (Anthony Stewart? ), Tampa Bay (Martin St. Louis? ), Buffalo for a long-term deal, Columbus and Toronto. Dan Girardi- Also looking for more than the Rangers want to pay, he would be a prime chip if the Rangers make him available. Expect Boston, Toronto, Philly, Anaheim and Phoenix to be in the mix. The team with the worst record in the league will make just about every veteran available. Three in particular are hot. Ryan Miller- The top goalie on the market, the Sabres are looking to create a bidding war for his services. St. Louis heads the list of potential destinations but don’t count out Minnesota, Anaheim, San Jose or even Colorado. Steve Ott- a gritty guy who could fit in with any of the top contenders. Boston, Pittsburgh, Montreal, Chicago and Tampa Bay head the list. Matt Moulson- acquired early this season for Vanek, Moulson will be flipped at the deadline for more young assets. With scoring at a premium, expect Los Angeles, Ottawa, Montreal and possibly Detroit to be in play. Mike Cammalleri– smaller scoring winger could be looked at by Pittsburgh, New Jersey or Los Angeles to provide some jump. Shea Weber- probably won’t be moved at the deadline but could be a blockbuster if the right team comes calling with enough goodies. Philly and Edmonton are always mentioned but teams like Buffalo, Florida, Dallas and the New York Islanders have plenty to offer and more than enough cap space. IT SHOULD BE AN EXCITING 10 DAYS IN THE NHL AND DABUZZZA WILL BE ON TOP OF IT THROUGHOUT. Follow us on Twitter and like us on Facebook for up to the minute coverage. The NHL season is officially underway and with the new conferences, there is much debate which teams will make it to the postseason this year. The new format this year is three teams from each conference and two wild card teams with the next best records. 1 seed– Pittsburgh Penguins- Personally I do not see much debate here. They have been the most dominant team in the east the past few years and with a fully healthy Crosby, this team is more dangerous than ever. Also with Letang just coming back from injury and Fleury playing at his best, this team could run away early this season. 2 seed- Washington Capitals– There are a few teams that I could see getting the 2 seed in this division, but the highly powered offense of the Caps wins them this 2 seed for me. Ovechkin is playing like the 50 goal scorer we know he is and the young defensemen have been stepping up and showing the Caps are no joke. 3 seed- New York Rangers– This team has struggled early, but wouldn’t most teams that started on a long road trip and had many injuries? 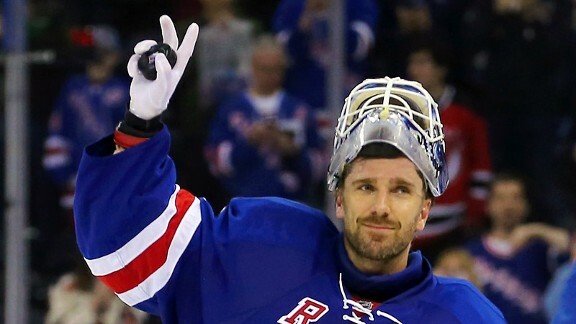 This team relies on their defense and goaltending, and why wouldn’t you with a goalie like Lundqvist? With offensive threats like Stepan and Nash this team could be a danger. 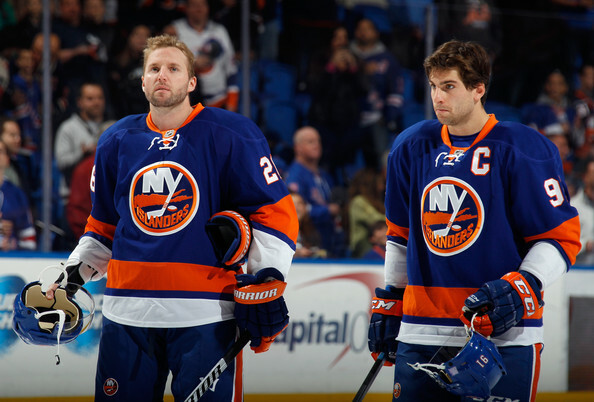 Wild card: New York Islanders– I see this team only missing the top 3 by one or two points. This team is highly powered offensively with Vanek and Tavares leading the way. With some shaky goaltending and defense, they will find themselves out of the top 3 and getting in with a wild card spot. 1 seed: Toronto Maple Leafs– Depth is the key here, and when I hear depth I think Maple Leafs. It is scary how many scoring options they have offensively . Their defense is no slouch either, and with Bernier and Reimer in net, this team is very dangerous. 2 seed: Detroit Red Wings– Veterans lead the way for this team. Backed behind Zetterberg, Datsyuk and Alfredsson, they are filled with leadership. If Jimmy Howard plays this whole season like he has so far, they will no doubt be the 2 seed in a very very good division. 3 seed: Boston Bruins– The team I believe to be the most defensively sound in the NHL. They play strong defensively, make little to no mistakes and wait for their offensive breaks, which will come with players like Krecji and Iginla. It doesn’t hurt to have Rask between the pipes either. Wildcard: Ottawa Senators– Yes, I know this team has struggled to begin the season, but a team with this much talent cannot stay down for 82 games. The newly acquired Bobby Ryan really gave this team a big boost offensively and if other players like Spezza and Turris can step up, this team will be golden. With my pick to win the Norris (Erik Karlsson) leading them defensively and a solid Anderson between the pipes, they should get in. 1 seed: Anaheim Ducks– I have loved this Ducks team in the west for many years now, but now with more spread out scoring, I believe this team has finally found a way to get over the peak. With the best 1-2 punch in goal with Hiller and Fasth, lighting the lamp against this team is no easy task. 2 seed- San Jose Sharks– This team is always successful during the regular season, and with player like Thorton and Pavelski, it is no secret why. With young players like Couture and Hertl stepping up, this team could be great! The defense helping with the scoring is also a key to this team’s success. 3 seed: Los Angeles Kings– Quick has a save percentage under 90 percent and this team is still sticking around the top 3. The defense has also been shaky thus far, but when this team puts it all together, they are very dangerous. Wild card: Phoenix Coyotes– When a team gets scoring all throughout their lineup, they are a tough team to beat. That is exactly what the Phoenix Coyotes do and that is why they have 22 points so far this year. Mike Smith is also a big key for this team, as he usually makes or breaks them. 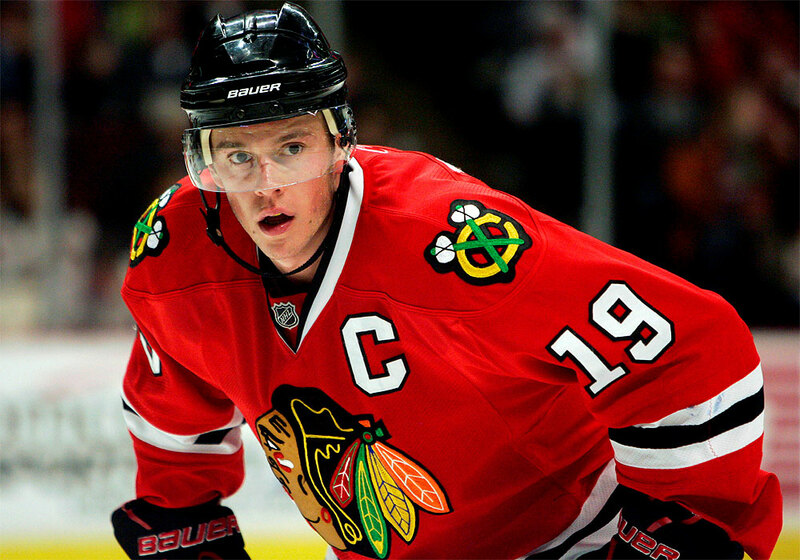 1 seed: Chicago Blackhawks– Have I said enough? Another team that I really do not think there is much debate about, as there’s too much talent all around. An offensive power house and a defensive lockdown, this team is awfully good! One minor weak spot in net, but Crawford has only been getting better. 2 seed- Dallas Stars– My dark horse pick. This pick may surprise many, but I love the Stars this year. My vezina pick Kari Lehtonen will be the back bone for this team. Having offensive threats like Seguin and Benn will give Kari a little support back between the pipes. 3 seed- St Louis Blues– This team is fundamentally sound all over the rink. They do not turn the puck over, and they make other teams pay for their mistakes. Another defensive based team that also has their d-men jump up and help the offense in the scoring category. With Halak in net, they are tough to beat. Wild card: Colorado Avalanche– I am not buying this hot start from the Avs. I do believe they are a good team, but I do not see them winning this division. Behind superstar Matt Duchene and solid goaltending from Gigure, they will get a playoff spot.